Spray tanning is an alternative to conventional tanning. We have the ability to transform your skin tone from dull and uneven… to a rich-bronze, sun drenched tan in one session. Whether you’re looking for a light GLOW or a dark Caribbean bronze, your airbrush spray tan will be custom blended each time to meet your expectation and tanning style. 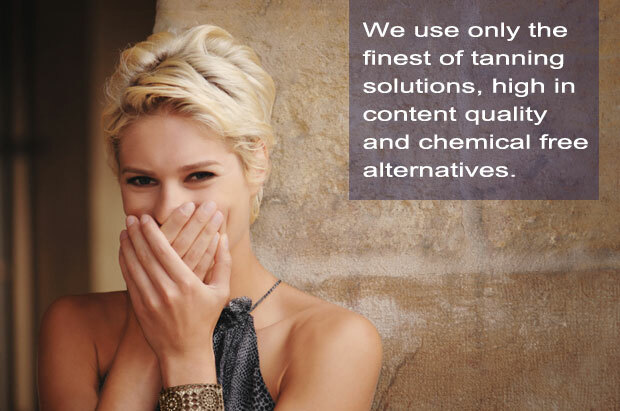 Our spray tan is especially designed for those who care about their skin and demand the best nature can provide. Located in North Cherry Creek, we’ve “raised the bar” in airbrush spray tanning. We cater to individuals, small groups and parties, please visit our “Parties” section to learn more about your next event or get-together.